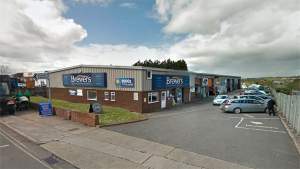 At Torquay Brewers Decorator Centre you’ll find a friendly service, advice whenever you need it and a good cup of coffee too. Our team has years of combined knowledge and we’re only too happy to help both retail and trade customers. As well as a wide range of the major paint brands, we stock decorating accessories, designer paint and wallcoverings. We also offer a full measuring and fitting service for all types of blinds. Our store is on Barton Road (not Barton Hill Road! ), just opposite the entrance to Torquay Academy and just along from the Co-Operative Funeral Home. There’s customer-allocated parking directly outside. Head south on Barton Hill Road, at the roundabout take the second exit onto Barton Road, follow this road and the store is located on the right. Head east on Hele Road, at the roundabout take the third exit onto Barton Road, follow this road and the store is located on the right. Head west on Hele Road, at the roundabout take the first exit onto Barton Road, follow this road and the store is located on the right. Head north-east on Barton Road and the store will be located on the left, just after the Woodland Road turning.